Ryan McMahon scored 12 points in a span of 83 seconds in the second half and No. 16 Louisville used a 14-3 run to pull away and beat No. 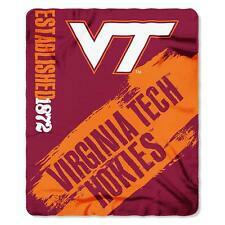 11 Virginia Tech 72-64 on Monday night. Christen Cunningham made Three Point Jumper. Assisted by Dwayne Sutton. Steven Enoch made Three Point Jumper. Assisted by V.J. King. V.J. King made Layup. Assisted by Christen Cunningham. Steven Enoch made Jumper. Assisted by Ryan McMahon. Nickeil Alexander-Walker made Three Point Jumper. Assisted by Ahmed Hill. Ahmed Hill made Dunk. Assisted by Wabissa Bede. Ahmed Hill made Layup. Assisted by Nickeil Alexander-Walker. Kerry Blackshear Jr. made Three Point Jumper. Assisted by Ahmed Hill.